Samsung’s Galaxy Ace is a formidable Android 2.2 enabled device with classy looks and is sleek too. The phone resembles iPhone 4 in its overall design and in fact beats it in some of the key features too. The phone can be availed at competitive rate of $400. 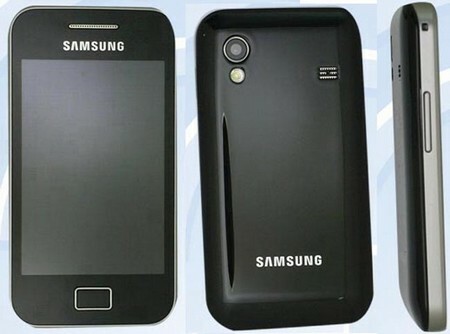 The smart phone from Samsung has 5 MP camera and iPhone like resolution too. The crisp quality 3.5 inch screen is the highlight of the phone. It can provide battery support of up to 10 to 18 hours if used with optimal usage. One can leverage from the robust apps of Android market while trying to download them on the device. The smart phone has 3.5G enablement and accessing Internet on this device is sheer fun and excitement. The service provider has packaged lush tan colored leather pouch to safeguard the phone from free fall or external physical shocks. One can also change the back cover from black to white if desired. It is also provided on the box as an inclusion. The other inclusions include 2 GB microSD memory card and earphones. The memory can be extended up to 32 GB through microSD card. The best breed Android phones are hitting the international markets almost every week. Android apps are expected to outnumber the ones on the App store in the near term. Samsung Galaxy Ace should be the ideal choice of the value centric customers across the globe who finds Samsung Galaxy II an expensive bet and other lower models too cheap. The device can be upgraded to Android Gingerbread 2.3.3 with utter ease too. One should leverage from Samsung’s Kies software and upgrade the OS from 2.2 to 2.3. The update is currently available in UK and Nordic regions and it is anticipated to hit to the international markets on the move.